Kosmo loves to go on trail rides and teach beginners how to walk and trot. Fun Fact: Kosmo was given his name because he was the first full-sized horse to go to space. After his adventure, NASA kindly donated him to camp to be loved by the campers. 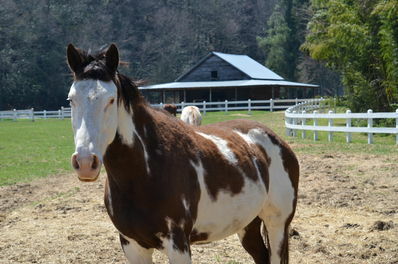 Kosmo can be found hanging out in the pasture with his best friend, Checkmate.